MakuluLinux distro is now something brand new and very inviting. rip-and-replace rebuild. Series 15 consists of three separate Linux distros: LinDoz is available now; Flash will be released by the end of October; and Core will debut between the end of November and mid-December. I do mean three *different* distros — not desktop environments you choose within an edition. The first two offerings, LinDoz and Flash, are not new per se. They are rebuilt reincarnations of previous versions. However, LinDoz and Flash are completely reworked from the ground up to give you several big surprises. MakuluLinux Core, however, is something entirely new. In fact, Raymer had not divulged Core’s development until reaching out to LinuxInsider to discuss the LinDoz release. His plan is to spotlight each distro as a separate entity. The centerpiece of MakuluLinux Core’s innovative, homegrown user interface is the spin-wheel style circular menu display. 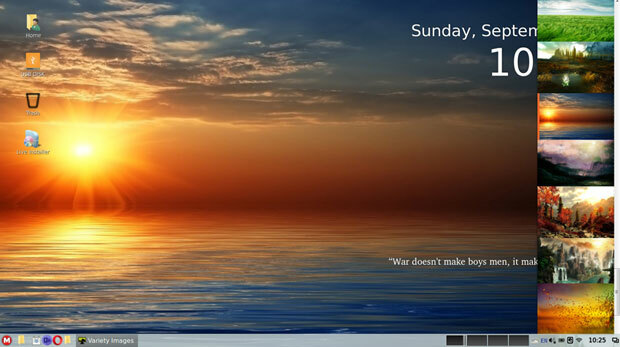 MakuluLinux’s Series 15 LinDoz Edition blends both Microsoft Windows traits and Linux functionality into one OS. 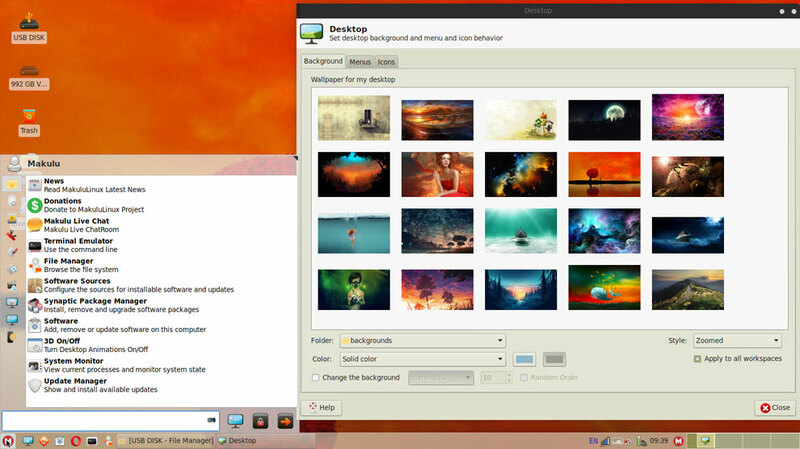 The new base gets its primary updates from both Debian and Makulu directly. The new strategy is not to borrow the base from Debian or Ubuntu like other big developers. Makulu’s team chose to build its own base instead. “This way we don’t inherit any known bugs that plague Debian or Ubuntu builds, and since we built the base we know what’s going on inside it,” said Raymer. The new base for MakuluLinux resulted from an intense study of the competition, noted Raymer. 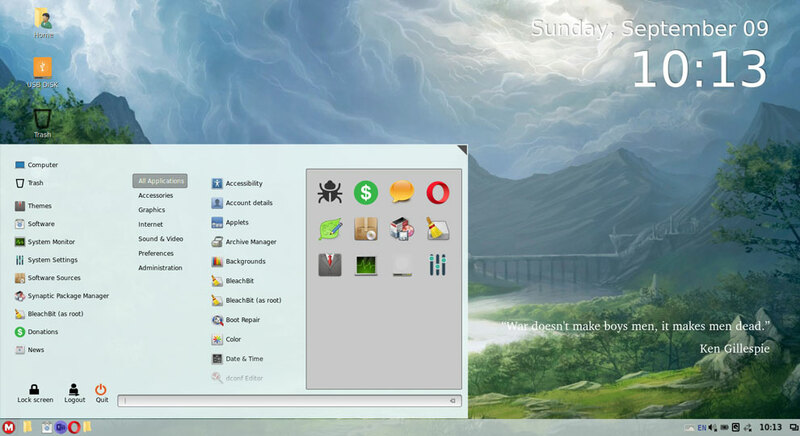 The developers were determined to surpass Ubuntu, Linux Mint — which borrows from the Ubuntu base, except for its separate Linux Mint Debian Edition — and Manjara Linux, which is a derivative of Arch Linux. After daily hands-on exposure to the end results of the base changes, I can vouch for the developer team’s success. Clearly, the team members had their priorities in the correct order. The new base is lightning fast. It is also more secure. One of Raymer’s big demands was a bug-free release. I give him huge credit. I doubt that software can exist without bugs. MakuluLinux does a damn good job of proving that assessment wrong. Developers can never test every piece of hardware in the wild. That is where the community of build testers and early adopters comes to the rescue. I’m guessing that this large gang of testers found enough bugs in the mix of builds to get a higher percentage of code fixed than generally happens elsewhere. release by a matter of weeks. What could become the most inviting option in the MakuluLinux OS family — when it becomes available — is Makulu Core. Raymer has this third release positioned to be the new “core” Makulu offering. 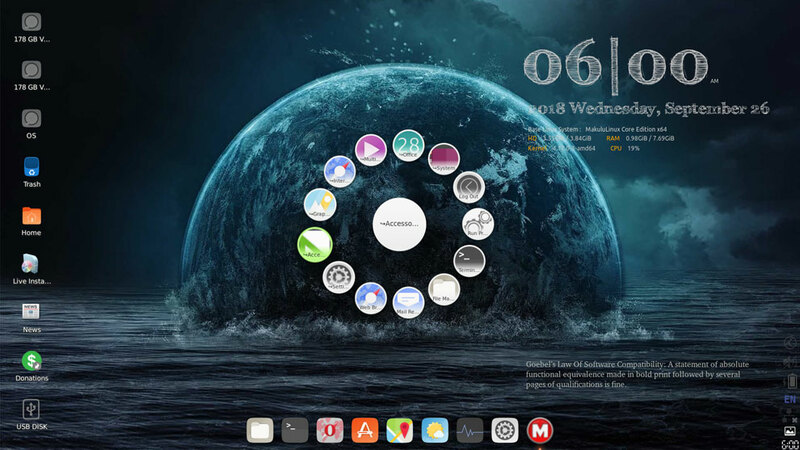 “We also wanted to make the OS feel a little like Linux, macOS and Microsoft Windows all at the same time, yet offer something new and fresh. This is how we came up with the dual menus, dual dock system. It feels comfortable to use, and it looks and feels a little like everything,” Raymer said.